Before doing any sort of interesting work with microcontrollers, logic gates and other various integrated circuits; power is needed. And not just any type of power: electronics are very fussy and require a very precise voltage to operate. 3.3V is a widespread value and some 3.3V compatible chips will start malfunctioning with anything higher than 3.6V -their absolute maximum rating. In addition, a typical embedded system will have several power rails: 3.3V for digital logic, 5V to operate legacy ICs, ±15V to operate operational amplifiers… All these different voltages will be derived from a single source therefore knowing how to properly restrain voltage (“buck down”) or “boost” a voltage is key to designing a good system. The chips responsible for all this magic are part of a family called “Power Management Integrated Circuits”, or PMICs for short. As of 2018 Mouser references a mind boggling 102000 SKUs in this category! Needless to say competition is fierce and this is a burgeoning industry with thousands of references added every month1. 1…But also even more getting deprecated and no longer manufactured! The tragedy of an electronics engineer: you can’t get too attached to a chip because it might be gone tomorrow! 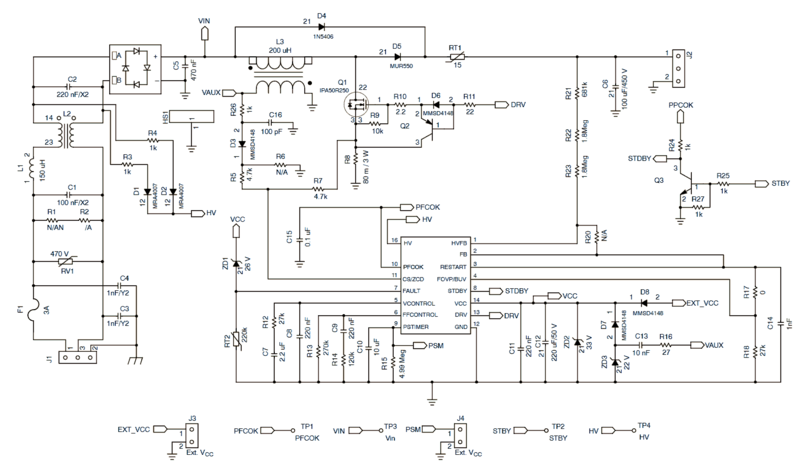 This is a real example of a switch mode power supply design by ON Semiconductor. We will not talk about it further. Do not attempt to build your own power supply. 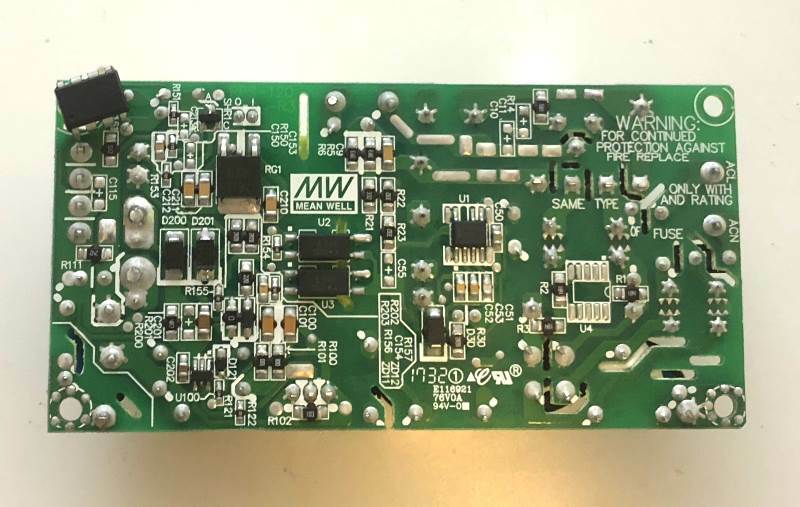 There are commercially available AC/DC power supplies that provide excellent integration with systems (PCB mounted designs for instance) while exhibiting excellent line regulation. Building a safe and efficient PSU would be an entire project on its own. As an embedded systems engineer that deal with logic level voltages, this is not where you want to spend time and resources on. This is the bottom of a commercial grade PSU from Mean Well. Engineering power supplies is a field of its own! DIP-8 chip on the top left corner for scale. Of course, it is nice to have a project that plugs directly into the mains. For this purpose there are numerous commercial solutions available for all sorts of voltage and power requirements. 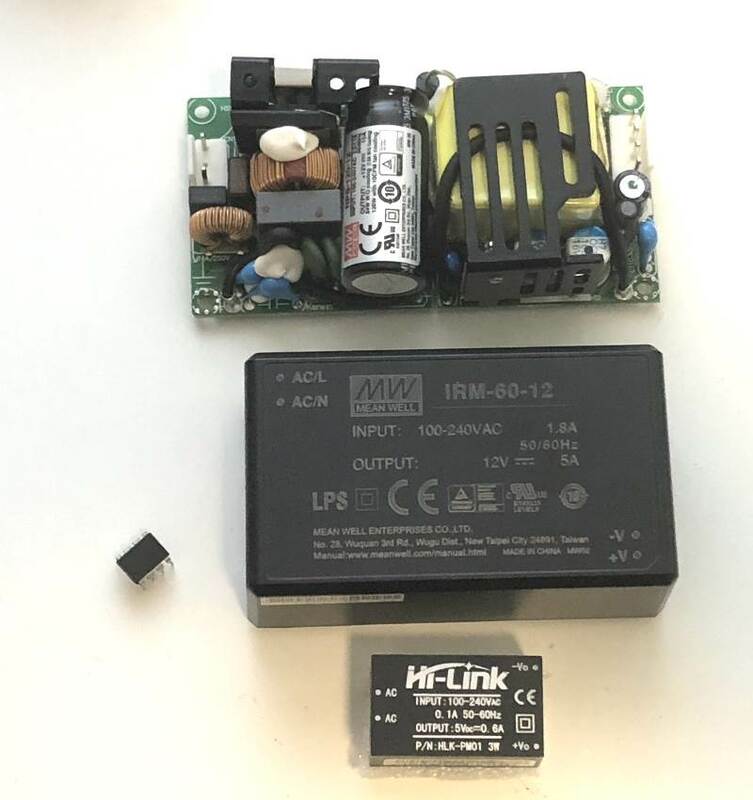 From top to bottom: PCB 12V 10A (120W) AC/DC PSU from Mean Well; PCB Mountable 12V 5A AC/DC PSU from Mean-Well, PCB Mountable 5V 0.6A PSU from Hi-Link. DIP-8 chip for scale. These power supplies are typically mounted on a ready to use PCB with mounting screws; and provide PCB headers to allow board-to-board cabling. They are nice to keep the power supply from the rest of the board completely separated, but are harder to embed into a system as a result. 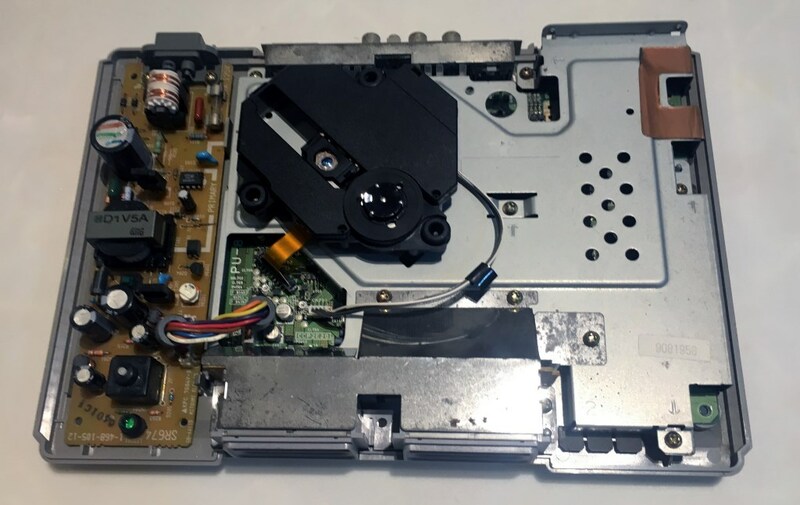 The original Sony Playstation had an open frame AC/DC power supply connected to the main board through cables. Almost 20 years later the PS4 still sports a similar design. They can be “open frame”, as shown in the picture above where the PCB and components are exposed; or they can be encased in a metal frame which is typically earthed for safety purposes. Open frame is typically the preferred design as consumers are not supposed to open their electronics; and if you do, it’s voiding the warranty and at your own risks! Some other power supply can just be included in a design just like any other through hole components: they have 2 pins for mains’ Live and Neutral; and they have +VCC/GND on the other side. These usually cannot be found above 60W due to the sheer size power supply occupy past this wattage. They even come in very small and easy to embed low power AC/DC modules; as low as 3W. Wall warts are the “industry standard” when it comes to powering consumer electronics. Internet gateway/routers, computer monitors, cable boxes… A lot of these products have decided to separate the power supply from their main board in the form of an AC/DC adapter plugged into the main the usually has some sort of power jack connector on the other end. Of course, such a design saves precious space inside the boxed system; but leaves an ugly package behind. 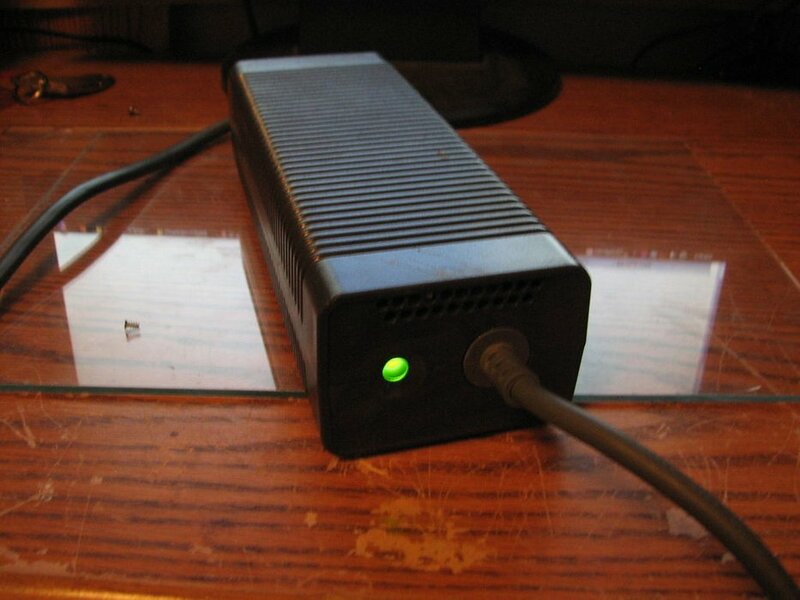 The Xbox 360 console for instance was very infamous for having a huge power brick tagged along the main unit. Where design matters, PCB mount or open frame modules are preferred. Wall warts: Power / Power Supplies / Plug-In AC Adapters. PCB Mount and Open frame design: Power / Power Supplies / AC/DC Power Modules. Unfortunately there does not seem to be a filter to further differentiate stand alone PCB types from PCB mount PSU. There are two main families of regulators: linear and switching. We generally derive lower voltage than the main input (hence why 12V is a popular value for routers and other electronic gadgets); but we can definetely boost voltages as well. In the next pages, we will describe both; and even some weirder converter topologies -the technical term for these voltage converters- that can step-up just as well as step-down voltage with the same circuits.